Even as he tries to boost iPhone sales, Tim Cook also must prove that Apple can still thrive even if demand doesn't rebound. Results released Tuesday revealed the magnitude of the iPhone slump--a 15 per cent drop in revenue from the previous year. That decline in Apple's most profitable product caused Apple's total earnings for the October-December quarter to dip slightly to USD 20 billion. It figures to be an uphill battle, given Apple's stock has lost one-third of its value in less than four months, erasing about USD 370 billion in shareholder wealth. Cook rattled Wall Street in early January by disclosing the company had missed its own revenue projections for the first time in 15 years. The last time that happened, the iPod was just beginning to transform Apple. "This is the defining moment for Cook," said Wedbush Securities analyst Daniel Ives. "He has lost some credibility on Wall Street, so now he will have to do some handholding as the company enters this next chapter." The results for the October-December period were slightly above the expectations analysts lowered after Cook's January 2 warning. Besides the profit decline, Apple's revenue fell 5 per cent from the prior year to USD 84 billion. It marked the first time in more than two years that Apple's quarterly revenue has dropped from the past year. 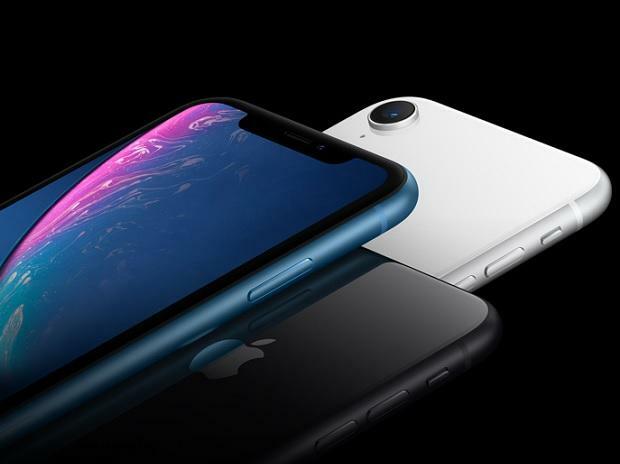 The erosion was caused by the decline of the iPhone, whose sales plunged to USD 52 billion, down by more than USD 9 billion from the previous year. Apple predicted its revenue for the January-March period will range from USD 55 billion to USD 59 billion. Analysts surveyed by FactSet had been anticipating revenue of about USD 59 billion. Investors reacted positively, elevating Apple's stock by 5.5 per cent to USD 163.06 in extended trading after the report came out. That unexpected move raised suspicions that Apple was trying to conceal a forthcoming slump in iPhone sales — fears that were realised during the holiday season. Cook traces most of Apple's iPhone problems to a weakening economy in China, the company's second biggest market behind the US. The company is also facing tougher competition in China, where homegrown companies such as Huawei and Xiaomi have been winning over consumers in that country with smartphones that have many of the same features as iPhones at lower prices. Although a trade war started by President Donald Trump last year has hurt China and potentially caused some consumers there to boycott US products, many analysts believe the iPhone's malaise stems from other issues too. Among them are higher prices — Apple's most expensive iPhone now costs USD 1,350 — for newer models that aren't that much better than the previous generation, giving consumers little incentive to stop using the device they already own until it wears out. "Eighty per cent of Apple's problem is pricing hubris and a lack of innovation," Ives said.